Renkon chips with amazu sauce is a staple and popular appetiser in many Japanese restaurants in Brisbane. I always order renkon chips when I go to any Japanese restaurant. “Renkon” means lotus roots in Japanese and because it is popular appetiser, many people know that “renkon” is lotus roots nowadays. However, it is a little hard to get renkon but I have just found out that frozen renkon packets are now available from Japanese grocery stores in Brisbane. You could always buy pre-cut Frozen renkon , but they were too thickly cut so it was not really suitable for deep fry. 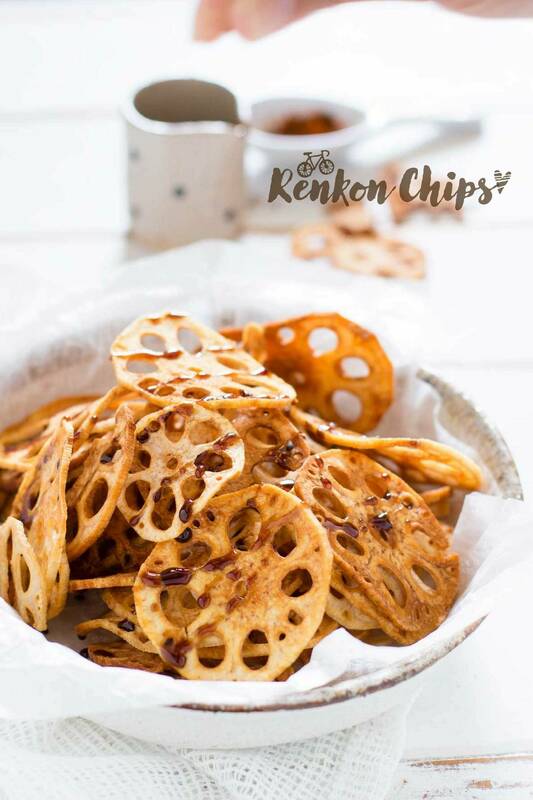 The new frozen sliced renkon is sliced in about 3mm thickness which is ideal for making the renkon chips in my opinion. 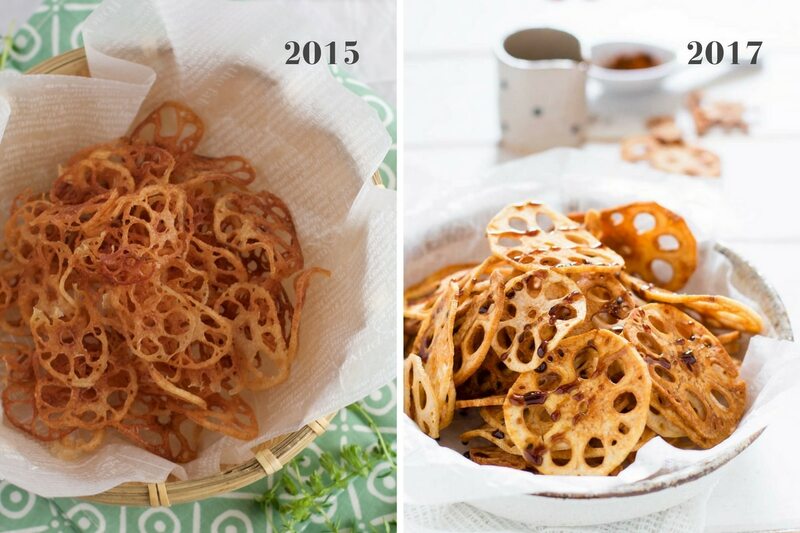 Last time I made the renkon chips, I found raw renkon in a Chinese grocery store and I sliced them to 1mm thickness. 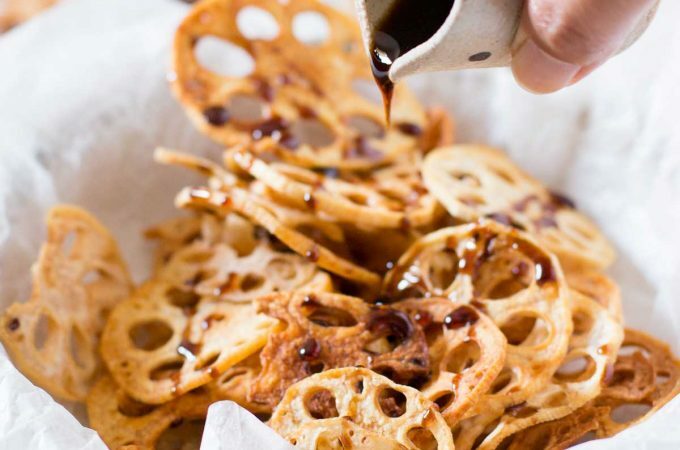 When sliced renkon is deep fried, if it is too thin they shrink a lot and become chewy. I did not have a slicer that can change the thickness at that time, but if you can find a slicer that you can adjust the thickness, it is best to slice the renkon in 3mm thickness. You also need to leave the sliced renkon in a bowl of water to avoid the renkon becoming discoloured. You can check how to cook renkon from scratch in my old post here. 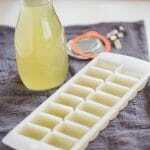 The most convinient and the quickest way is to use frozen ready to use sliced Renkon packet. I also add Amazu sauce and Shichimi Togarashi spice this time. I had Renkon Chips at a Japanese restaurant in Brisbane and the renkon chips there were served with some kind of sweet soy sauce and shichimi togarashi. I wanted to recreate the sauce because it was so delicious. “Shichimi togarashi” is a spice powder that I and most Japanese people add when we eat Udon noodle soup. Shichimi Tougarashi is 7 (shichi) flavour (mi) togarashi (chilli powder). 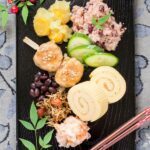 It usually contains chilli powder, black sesame seeds, white sesame seeds, Sansho (Japanese pepper), ginger, and seaweed. 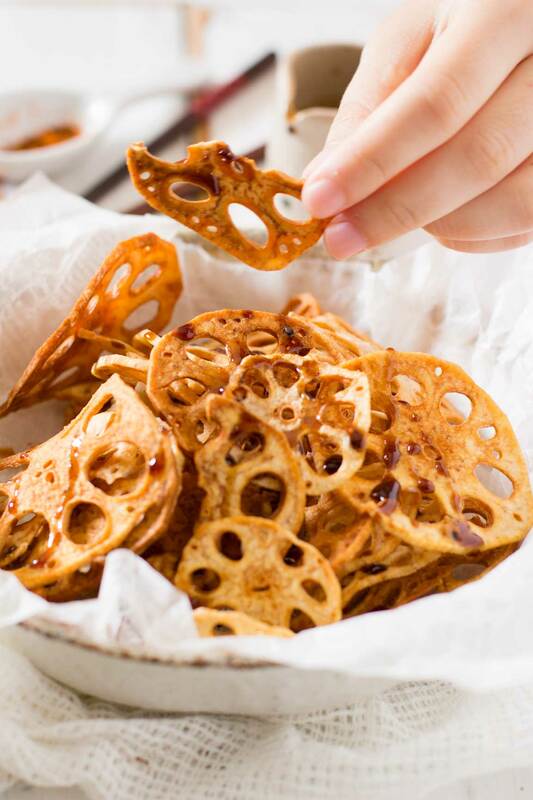 A pinch of Shichimi Togarashi really gives a huge flavour kick to the renkon chips. Try shichimi togarashi if you can get the spice. I cooked about 250g of Renkon chips. My daughter munched a little being a photo model!! And when I finished taking photos I had some too and when I realised, they were all gone! I could not resist and ate them all, whoops. Defrost the sliced renkon on a paper towel to let the paper towel absorb the water. Wipe the excess water off with more paper towels. Heat enough oil to deep fry the sliced renkon to 180 degree. Add the sliced renkon and deep fry for about 5 minuets or until lightly brown. You will see a lot of bubbles forming around the renkon. When it stops forming any bubbles around the renkon and the colour of renkon is brown, it is ready to scoop out of the oil. 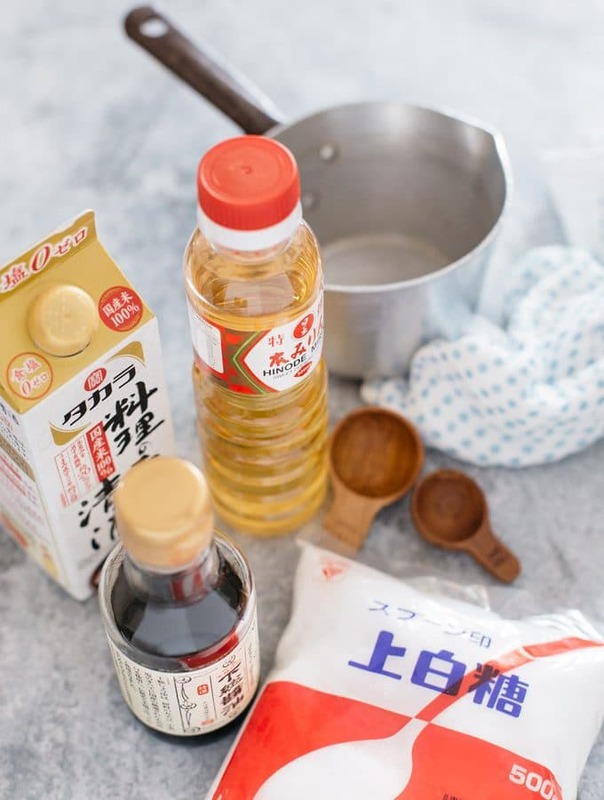 Drain the excess oil by scooping out the renkon on to a paper towel. 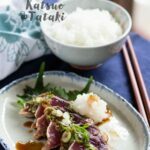 Serve on a plate or bowl and drizzle the Amazu sauce and sprinkle a pinch of Shichimi togarashi. Combine all the ingredients in a small sauce pan. Heat the small sauce pan on high heat and bring the sauce mixture to boil. Turn the heat down to medium and simmer. Turn the heat off when the sauce is reduced and thickened. 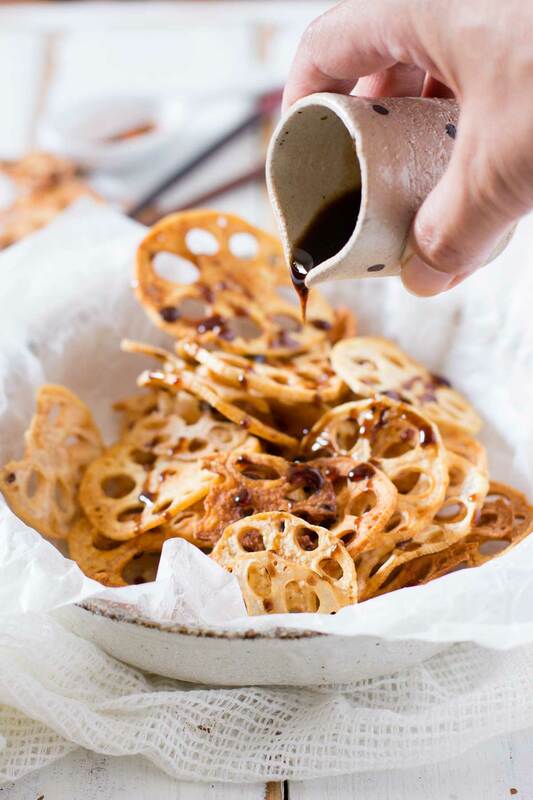 Pour it in a small sauce dispenser and drizzle over the renkon chips. Also my old post photos are terrible…. 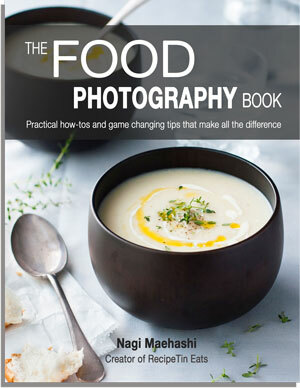 I have learnt a lot of food photography skills from Nagi’s book. 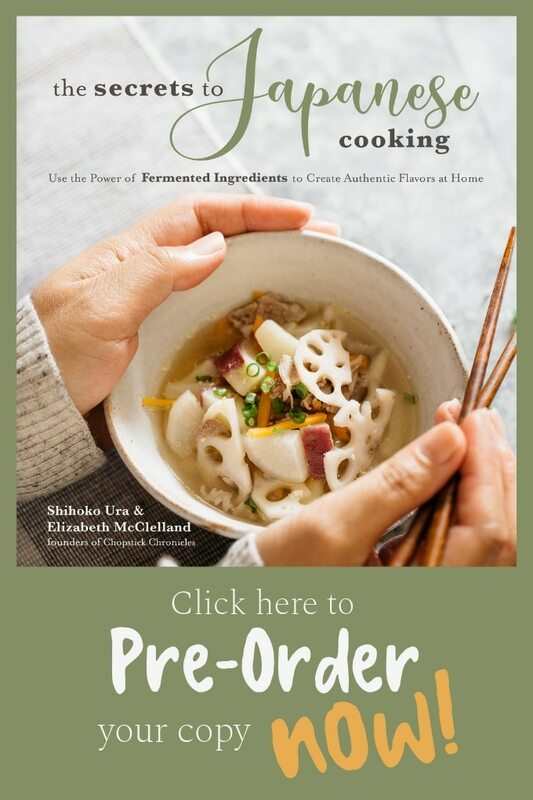 The best food photography book that I have found so far 😀 It covers everything you need to know about food photography. Hello Bintu 😀 really? 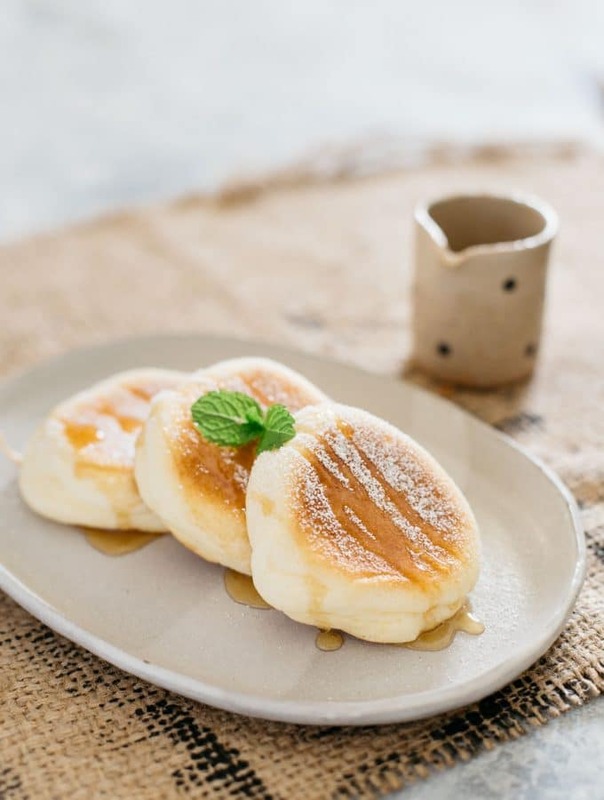 they are very popular appetisers of any Japanese restaurants in Australia. I’ve never seen the frozen lotus root – that would be so very convenient. I will need to keep an eye out. 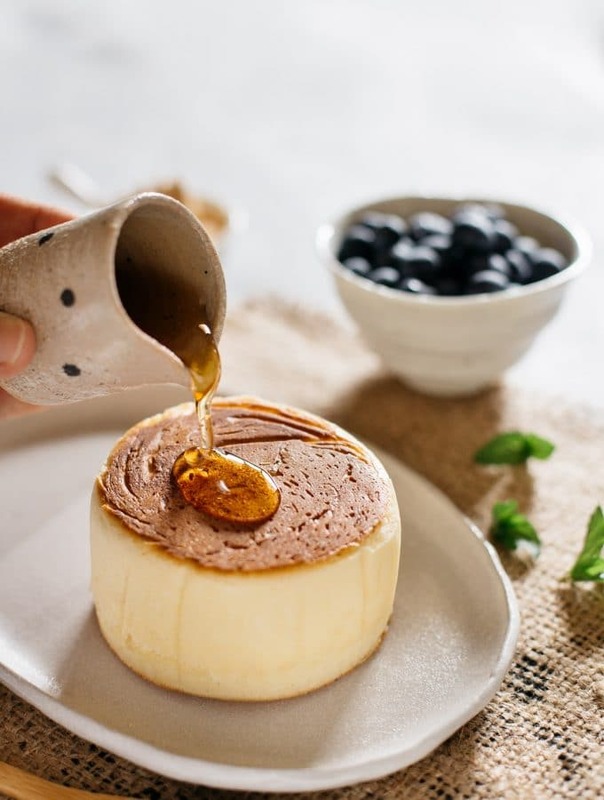 These taking snacking to beautifully delish level! Hi Jacquee 😀 yes frozen and sliced Renkon is so convenient, hope you can find them too. Gosh I totally love this. I live in Asia and I’m such a big big fan of Japanese food. 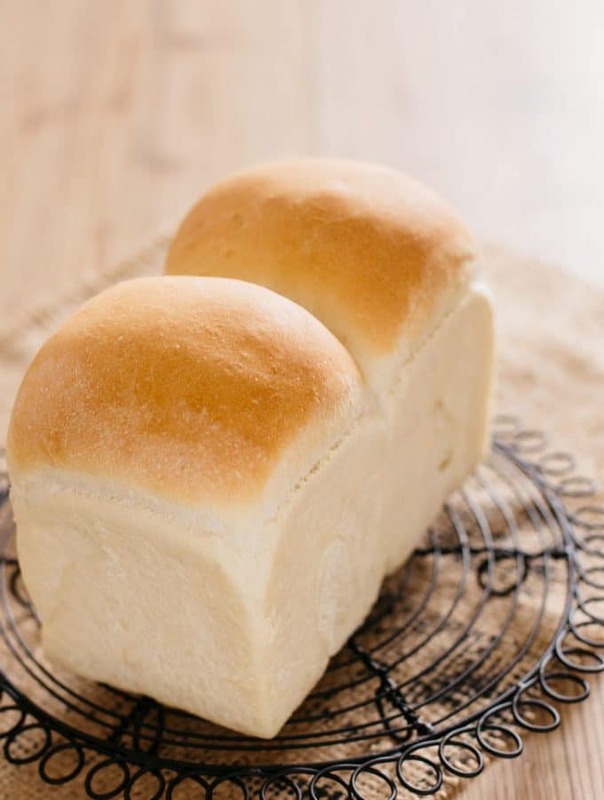 I would love to try your recipe so i’ve saved it to pintrest board. I’ve never heard of Renkon chips but they sound yummy! I’m sure my husband would enjoy these, too! I’ve never had this before, but it looks like a tasty snack! 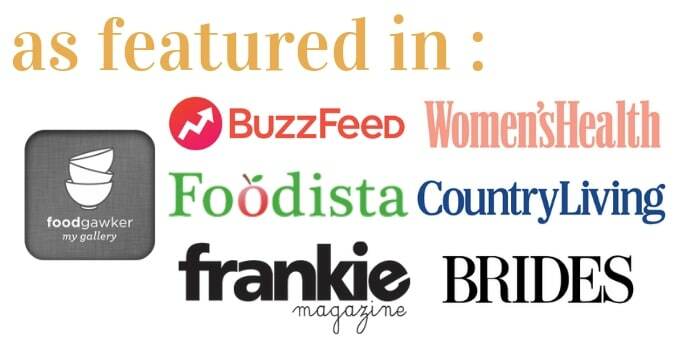 I’ll have to keep an eye out in the grocery store!